tried to make a post about this when the first dates popped up and it kept going through with a blank subject so i deleted anyway, this is a dream lineup! if i understand correctly, simon and becky are filling in for darren and jeremy on stage with stacy? That's odd? They are playing Springfield which is where I hope to see them. I'm expecting Darren and Jeremy will be on hand since that's their stomping ground. If not, that would be awkward, more so if they showed up and watched the show from the crowd or some weirdness. Like they were "punking" the crowd. I think that's reading too far into it. Darren has commitments with Mutemath (shows and studio) at the same time and Jeremy's probably finishing up Sucré lp2, as he's been working on it this summer. Also, they're putting out a 5 song EP in the next month or so and Stacy's debuting those songs on the tour. Any way she plays them it'll be fantastic. The Austin show in 2012 was one of my all time favorites. I did not hear about the ep now. I was being goofy and curious all at once. Your reasoning makes sense. Playing Springfield is just out of the way and a smaller market than KC or St. Louis. It makes sense with two Springfield natives in the band but hey she's got in-laws their now so there's always a family base there. The Club DaDa show in Dallas is still my favorite concert experience. I've been anxiously waiting for them to tour again! anybody know any details on the EP? and will there be a full length as well? Hopefully so. stacy rehearsing troubled waters. if she's playing piano this time around too, then i'm totally excited for it. i hate when they do tour EPs. Because then I fear I will never get it. This is when some boardmembers, out of the kindness of their hearts, pick up extras and ship them to other boardmembers that miss out on it - surely without a profit motivation. I haven't seen that this EP will be tour exclusive, only that it will be sold on tour. There is a chance that they may do something with it post tour. I am just hoping that it's not a "this is a few songs from the LP" EP so when you buy the album there are only a couple, if any tracks unique to the EP. We'll see. i was never able to get my hands on the merriment single ep they sold before the full length. i did get that one eisley ep though that boyd said was pretty rare. but a board member had to get it for me. 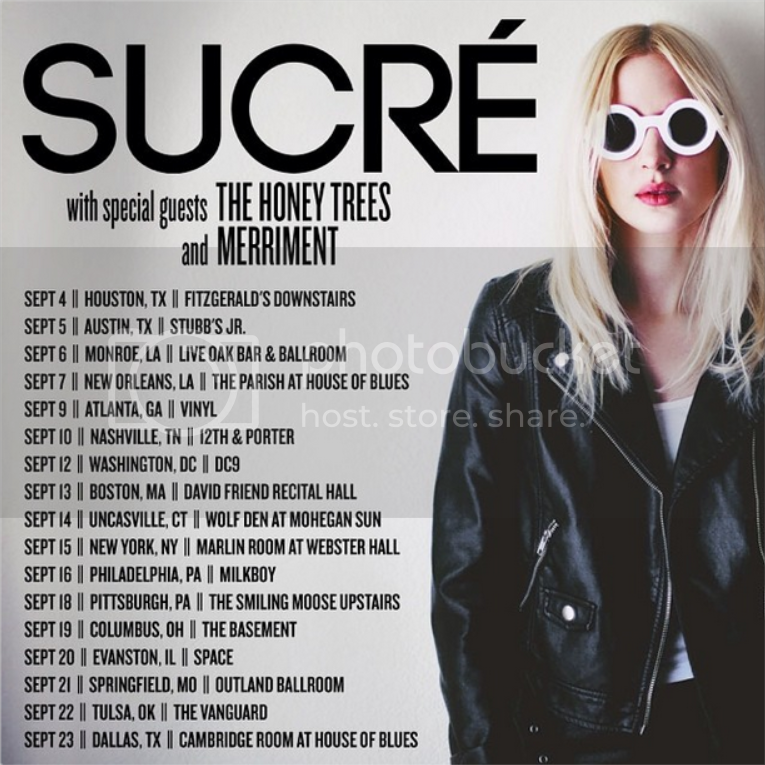 It helps that Sucre' is not on a label, and have rights to their own music so they can reissue releases at their leisure as funds allow and distribute them however the deem appropriate. so all that to say, someone want to grab me one? obviously I will pay for it. Wil, you going to any shows?